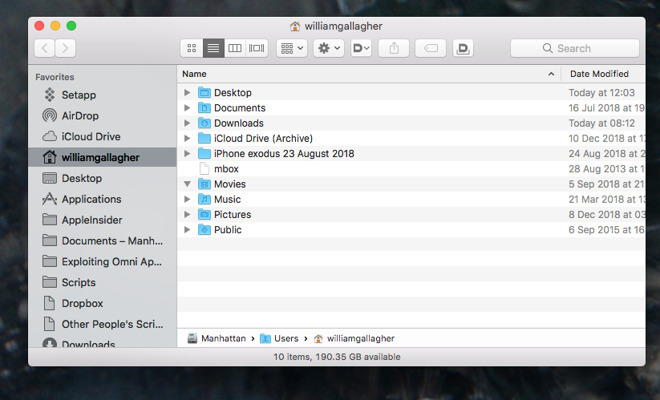 Even today, though, you could do the same right now with your Mac if you found the right files to delete -- but Apple has hidden them all. 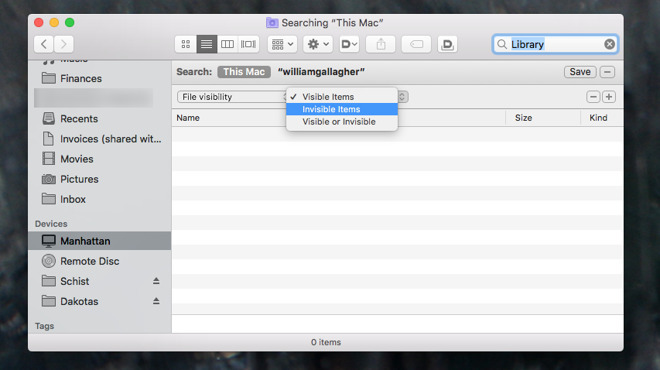 In any Finder window, you can type a search term into the box at top right. Press return and the Mac finds every matching item -- if it's visible. You can use the same tool to show hidden or invisible ones, too. The list of options you see will vary but you're unlikely to see the one labelled File Visibility. You will, though, see Other. Choose that and pick File Visibility -- it will now be added to the dropdown list. 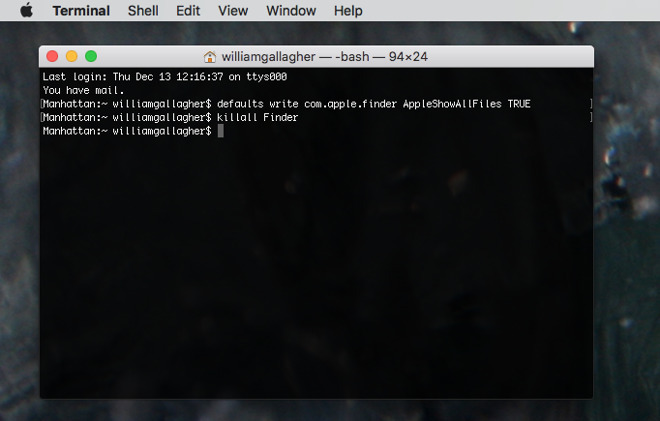 Nothing obvious happens immediately, and nothing will until you restart your Mac, relaunch your Finder or just do the quickest thing -- type killall Finder in Terminal. 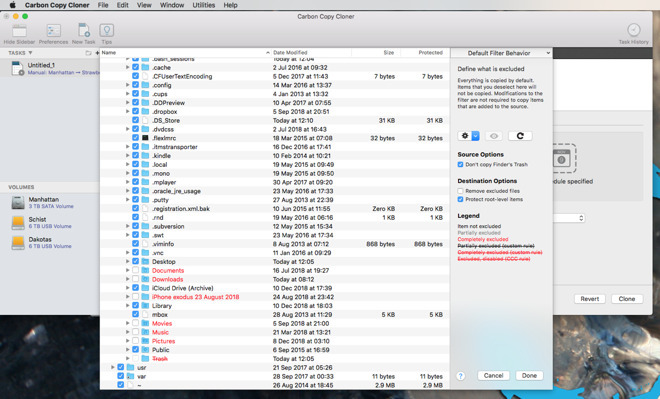 When you then press Return, the Finder will relaunch and you'll see all these invisible files. 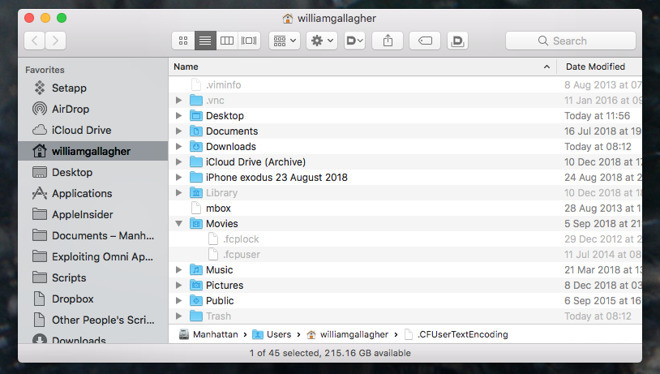 So they now hide the Library file in the latest version of macOS? Glad I didn’t update. It took me all of 1 minute to add the Library folder to 'Favorites' so no big deal really. It's been hidden in the last several major versions of OS X. This is not new. 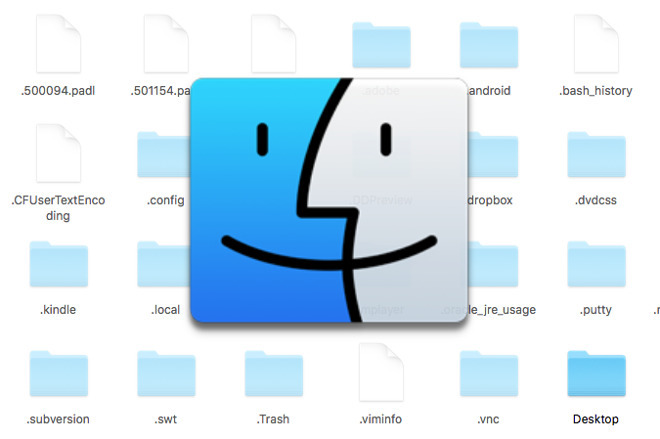 Note that this article is talking about the Library folder in your personal user folder, not the Library folder in the root directory of your drive. That one is still visible in Mojave. The word “how” is superfluous in the article title. Not that I bother with the various grammatical errors that may occur, but that one really jumps out. The Find command in Terminal is very powerful and well worth reading up on. Power users will get everything they need done with some deft use of Find and Ls. This searches the *entire* local drive, even within the /System and /Library directories where you typically don’t or shouldn’t need to make changes, but is sometimes useful to locate things. In this case sudo suppresses a few warnings from the output and isn’t necessary if you only want to search your home folder “~”. If you’re sure of the name in full you could remove the wildcard characters, and if you’re sure of its case sensitivity use -name instead of -iname. You can obviously do much much more, and I’ve never needed anything other than trusty old Terminal. That can search for hidden files/folders including contents and allows regular expressions. The brute-force search method used to be so slow on hard drives but now that SSDs have such fast read speeds at 0.5-3GB/s, an entire drive index can be searched in seconds. Spotlight is still faster looking up an index but those other tools are useful for cases where Spotlight doesn't find things, especially if it hasn't indexed an external or network drive.